Totre Packaging Manufactures & supplies quality plywood boxes & plywood pallets for usage in various industries right from fastener manufacturers to food, automobile, oil & gas sectors. 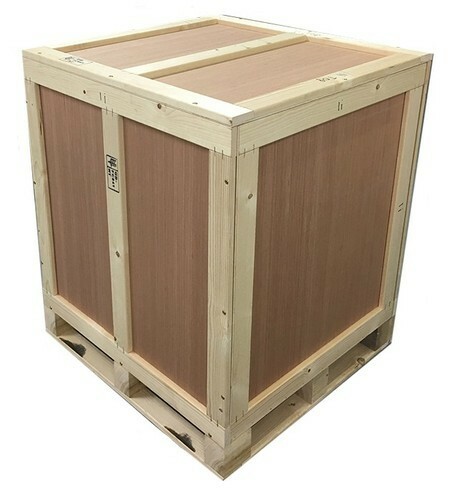 Being lightweight these boxes or pallets reduce your air shipping cost when during air freight for exports. Type 2 - Complete Fully plywood boxes without using any wood. Plywood boxes when used in complete without any natural wood used do not need any extra treatment or certification. Made from quality IS-303 or IS 107 grade plywood. Sizes can vary from small (low eight) to large(heavy weight). Used in aerospace, defence, automobile or allied industry. Castins, Metals, Steel manufacturers & exports also use these. Send your inquiry, Do get in touch to experience the exceptional. Incepted in the year 2000, we "Totre Packaging", are one of the leading manufacturer and supplier of Industrial Wooden & Plywood Packaging, Domestic Rubberwood Packaging and Industrial Wooden Pallets, which are apt for low and medium load packaging as well as heavy-duty packaging. Our range finds a wide application across variegated industries such as heavy industries, electronic control panel manufacturing companies, dairy plant manufacturing companies, agro sector for their durability and sturdy construction.